Despite the ever-changing world of digital marketing, search engine optimization and online traffic remains key to the success of companies. Given the popularity of search engines, companies are presented with significant opportunities to gain visibility and connect with interested consumers. The easiest way to boost your ranking on Google is simple: improve your SEO performance for free. One way to boost your SEO for free includes utilizing free services such as Google Pagespeed Insights. These insights allow companies to check the loading time and usability of their website on any device. For example, some sites may load perfectly on desktops, but buffer and appear incorrectly on mobile devices. By simply entering a URL, Google will analyze the site and produce a score for user experience, tap targets, and font sizes. These results will work to identify opportunities to improve the site, as well as boost traffic and improve visitor experience. If you know SEO then you know the most important aspect is keywords. In order to boost your Google search rating, your company needs to produce content filled with relevant keywords about your products and services. To facilitate this creative process, keywordtool.io is a free online website that will generate hundreds of keyword ideas based on a single keyword. By analyzing the most common searches and questions about your products and services, this tool will identify relevant keywords bound to boost your search ranking and attract potential customers. Another free service that will benefit your SEO is the Moz Link Explorer. While you can upgrade your service to pay for more features, the free version of this service gives companies all they need to adequately evaluate their website. Link Explorer provides link analysis, which gives companies an insight into their most impactful links and most linked-to pages. These insights provide the platform to model your weakest links after your most successful links, which will boost the impact of all your links, not just a select few. For companies offering a wide variety of products and services, the most important free service to take advantage of is Google Trends. Companies can use this free service to identify popular search topics and terms. By uncovering seasonal variations in search popularity, companies are able to gear their marketing and SEO towards certain products that fit the search criteria. The most prominent way to boost your search engine optimization is to change the search results yourself, and Schema Creator allows you to do just that. By creating custom codes, companies can customize how search engines display their web pages in the search results. Most search engines have a standard outline for presenting results but tailoring your results to include reviews, events, and people will give your company the opportunity to rank higher in results and stand out among competition. 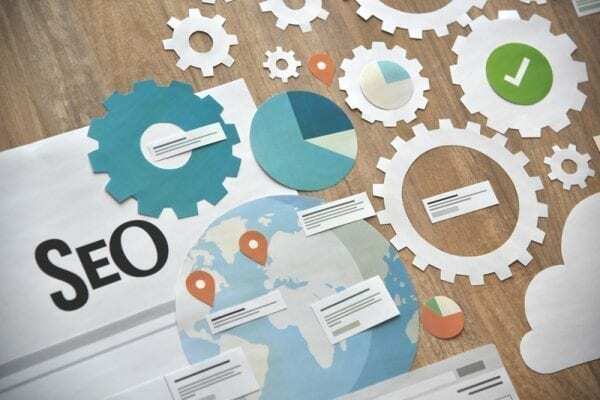 If you would like more information about these free SEO services, need help boosting your SEO performance, or other digital marketing services, please contact Pink Dog Digital at (410) 696-3305, email us at info@pinkdogdigital.com, visit us on the web or fill out our contact form.